Now that Christmas is over I'm taking the week off to do some of the things I didn't have time for when I got back from my trip last month, like getting my stuff out that had been packed up at my parents' house, cleaning my studio, and working on some things I can't really work on at the store where I work. I tried to work on some half finished lockpicks, but it was frustrating to have to keep searching for tools that had been misplaced years ago and decided I needed to get organized before I started working again. I also had to clean. 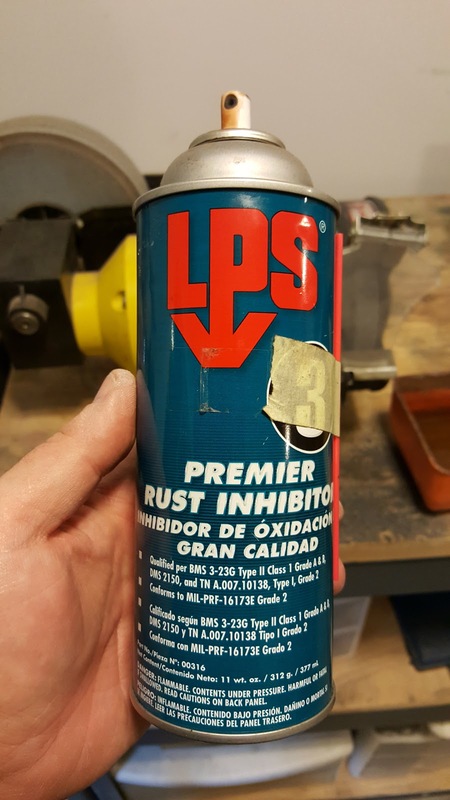 Before I went to Korea I sprayed most of my steel tools with LPS 3 Premier Rust Inhibitor. I had used it before and it seemed good. You spray it on and it dries to sort of a sticky grease. They claim it will protect metal for up to 2 years indoors. 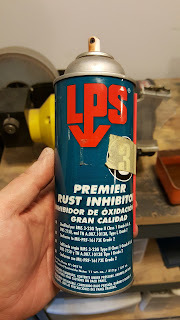 I was in Korea 4 years and it worked great, though I never had problems with rust in my studio before. The stuff can be removed with mineral spirits. Hammer heads and the rolling mill didn't take long, but my lathe took a while to clean. I didn't finish everything, but I did enough for now. I had been worried about my skills coming back, but the real problem turned out to be what to work on first now that I have a studio again. While I was away I had a lot of things I wanted to do, designs I wanted to make, and techniques I wanted to improve. And here I am with limited time to work on my own things, plus spending time trying to keep up my Korean and Japanese language study, and I just don't know where to start. 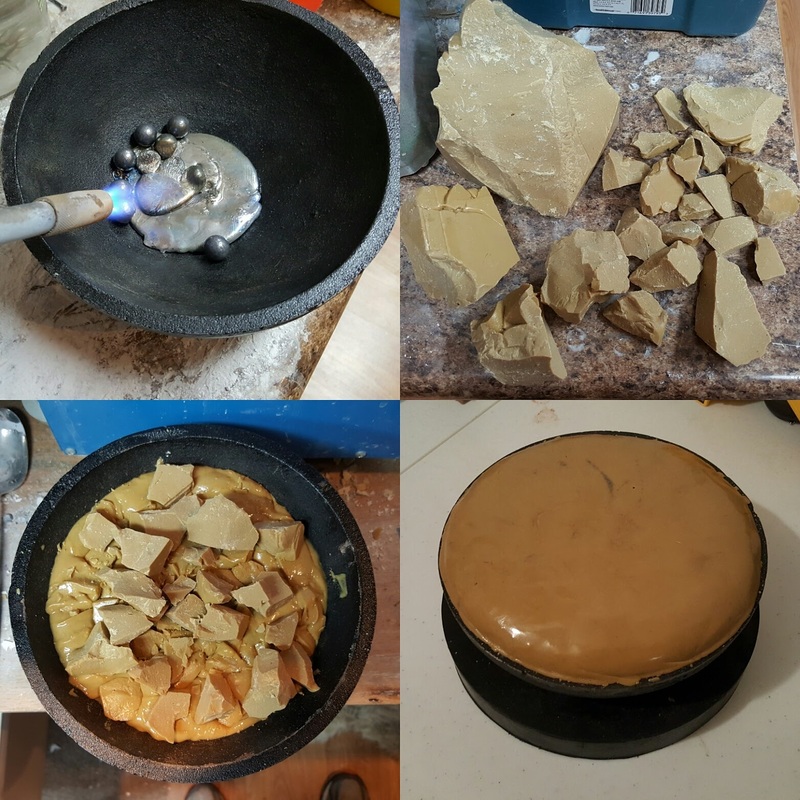 So far I have just been practicing nunome zogan and flush setting. There aren't enough hours in the day for me to do everything I want. 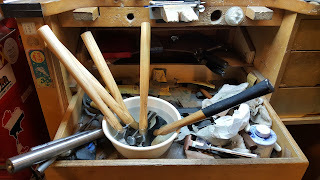 I want to try repousse so I got a pitch bowl and some pitch recently. I've never done it before, except to play around with it a little in grad school. I never had much interest in it before and the pitch looked messy and I didn't want to deal with it. I saw some pieces in Japan that I really liked and the kind of got me interested in trying it. I am also looking to go in a new direction with my work. After being away from the studio and not making anything for about 5 years I didn't want to go right back to making the same things I had been making before I went to Korea. This is the 6 3/4" pitch bowl from Rio. I melted about 4 or 5 lbs of lead in the bottom of it to give it some weight before adding the pitch. The pitch is from Northwest Pitchworks. I'm taking the Refined Stone Setting class at the GRS Training Center this summer in Emporia, Kansas. I have been wanting to take this class for a long time. I took a basic engraving class there in summer 2006 and enjoyed it. I heard classes there are really popular and this stone setting class is only offered once a year, so I called to register right at 8am on the day registration started to be sure I could get in. I checked their website a few hours later and the class was full. I'm looking forward to this class. 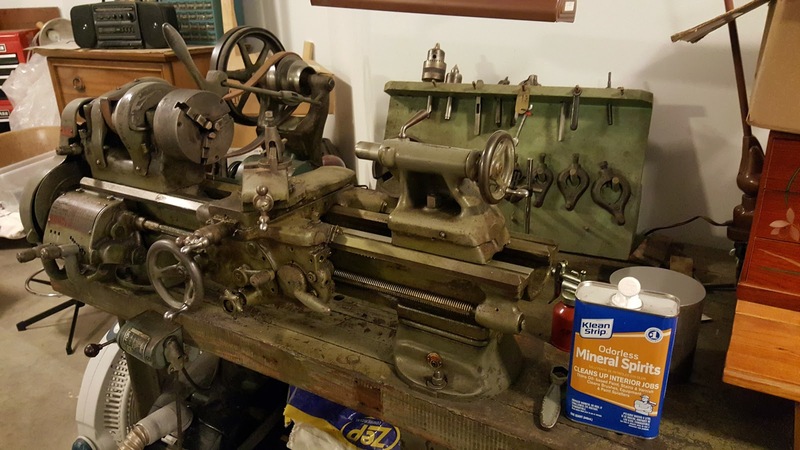 I've been back at the bench for the past week. After the first awkward day things came back to me pretty quickly. Soldering seems to be coming back rather slowly though. I was gone over 5 years total but it has been even longer since I did many jewelry repairs with the torch since every place I have worked since 2004 has had a laser welder. There is a laser welder at my new job, but still the torch is better for some things. The only stone setting I have done so far has been prong setting two round faceted stones and bezel setting a faceted stone. The prong setting felt very awkward. Felt like I was doing it for the first time. I just couldn't remember how I used to bur a level seat for the stones. In the end they were set ok. I didn't do the entire bezel setting. My boss started it and had the bezel partially hammered down before he had to do something else and I took over. I finished hammering it and cleaned it up. The bezel setting felt ok, aside from being a bit nervous cause the stone was a tanzanite. I am going to try to make 2017 about learning and improving. Especially my bench jeweler skills. I am hoping to improve my stone setting beyond where I was before I went to Korea. I could do most settings well enough, but some I was not confident with, especially channel setting and pave. I had learned how to do both of them but I never had much practice. Monday November 28th I left Seoul and came back to the US for good. "For good" for now anyway. Although I don't know what other job I could get abroad except teaching English, and I'm done with that. 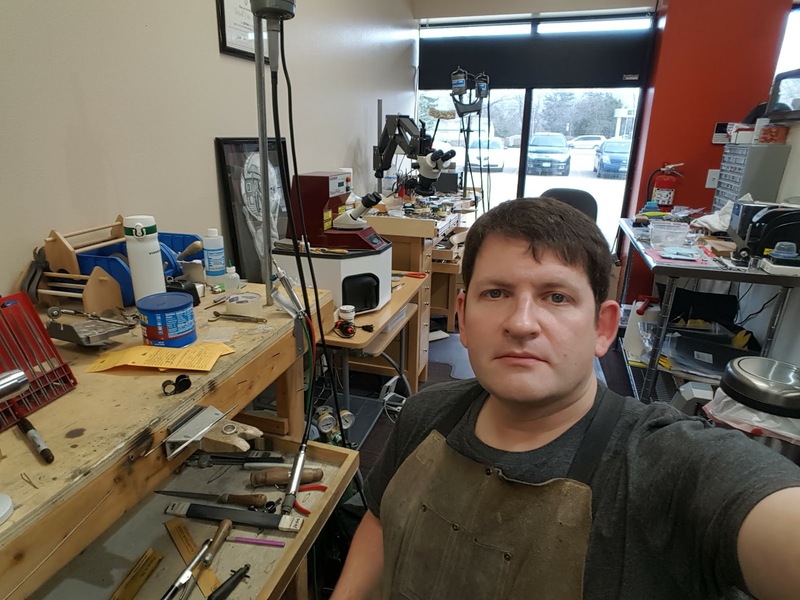 My friend owns a jewelry store in Iowa and had offered me a job when I return so I started working there Friday (12/2). I had wanted to take at least a week to organize my stuff and clean and organize my studio, but my friend was backed up with work and wanted me to start ASAP. It felt a bit awkward at first being back at the bench. But it was feeling much more comfortable by the end of the day.